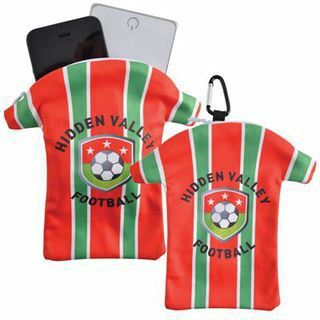 Superior 250gsm/120denier Microfibre T-Shirt shaped phone pouch with aluminium carabiner, and top zipper. Excellent for oil and moisture absorption. Suitable for cleaning sunglasses, eyeglasses smart phones, e-book readers, camera lens, monitors, collectables and tablets. Great for storing your phone, cables, power banks and other mobile accessories. Made in South Korea.